Cognitive Behaviour Therapy (CBT) is becoming increasingly central to evidence-based mental health care and to the professional development of many mental health workers. Written to meet the needs of those acquiring knowledge and skills in this area, Cognitive Behaviour Therapy in Mental Health Care outlines the core principles involved in: "
The authors emphasize the collaborative nature of CBT and its effectiveness in helping clients achieve both short-term goals, as well as more adaptive ways of thinking about themselves, others and the world over the longer term. 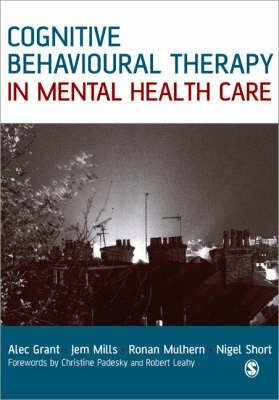 Chapters cover the use of CBT in different settings and address a range of problems from personality disorders, depression and anxiety to the psychological problems associated with physical illness. With case examples woven throughout, Cognitive Behavioural Therapy in Mental Health Care is an ideal text for use in training and a useful source of reference for qualified practitioners working in a variety of mental health settings. "